Wow I can't wait! You make such great games =) Looking forward to it! Wow, it looks cool on the picture. =D Maybe it's a Halloween-themed game. Oh, I can't wait to find out! I already the preview picture for my desktop background!!!!!!!! !I think its cute so far.Can"t wait,Bart! sorry about the typo on the last comment!! ^^ It looks so cute! OMG CANNOT WAIT this looks adorable, and ghosty-y. Halloween? AUGH hurry please!! Looks great! I love your games. I can't wait! Wow, suprised this hasn't gotten more comments. Ordinarily the promised release of a Bontegame would merit at least 30 ish. And it's live now! Enjoy "Full Moon"! Stuck on finding apple in tree with 4 owles. Anyone? Found it. 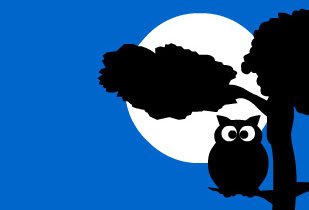 Move the cursor until no owl is shown.